Home / brand new / DiRTY RADIO / música / The Funk Hunters / The Funk Hunters Release "Turn Down the Silence"
The Funk Hunters Release "Turn Down the Silence"
Multi-dimensional duo The Funk Hunters have unveiled their brand new single Turn Down The Silence, off their much anticipated upcoming album. This super infectious single with enchanting melodies and groovy bassline, features the velvety vocals by DiRTY RADIO. Stream it below! This song oozes summer guys! It's clear that The Funk Hunters aren't merely in the business of making breezy tunes; with its focus on instrumentals and lyrics that add meaning to the music, Turn Down the Silence is an example of the duo's innovatory revisioning of electronic dance music. 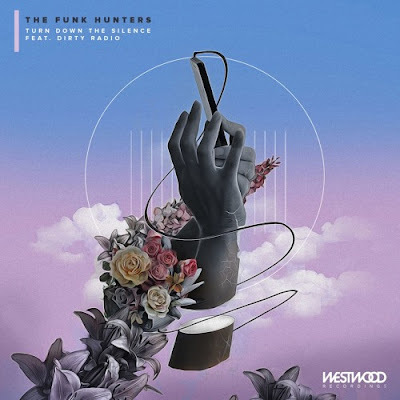 The Funk Hunters incorporate elements of multiple genres and transform them into fresh, unprecedented sound. Stay tuned in the coming weeks for the second single from the album and the entire tracklist drop on March 23rd. The Funk Hunters were born when Nick Middleton and Duncan Smith met while attending film school in Canada, and has been both a studio project and live juggernaut ever since. In a sea of carbon-copy producers, the duo has cultivated their signature sound by creating forward-thinking electronic music that is influenced by old-school soul, funk, and hip-hop. Their vision has resonated with both listeners and industry tastemakers alike, with their music amassing over 10 million track streams from their original productions, remixes, and collaborations.